Sometimes it is hard to acknowledge that there is a higher power that knows the best for you. We are taught to go for what we want. 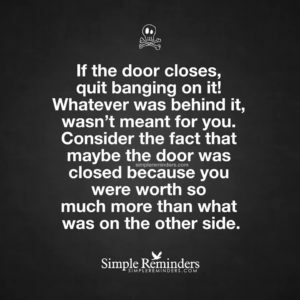 Find a door and bang on it until it opens. Don’t give in, or don’t give up. But there is also a softer side to life. In this way of thinking, you just let life flow. If something is meant to be, a door to it will open for you. You don’t have to push on the door, or bang it open. It will just OPEN if it is meant for you and the time is right. And that doesn’t mean to just sit and wait for life to come to you. It means to be in alliance with life and what you want. Use the “EASY” button instead of the “fight against” button. 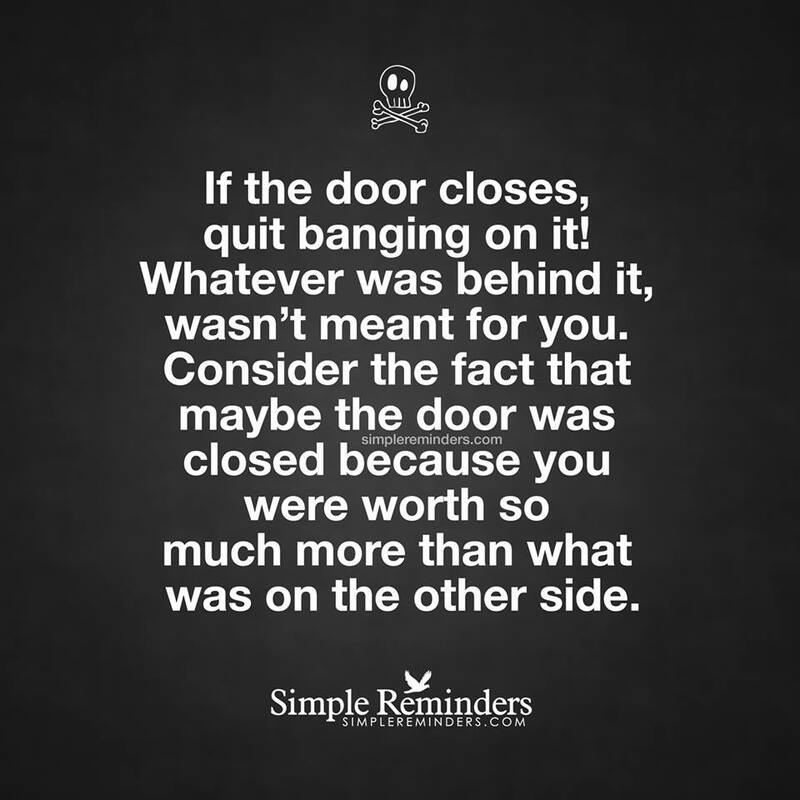 Quit banging on the wrong door and find the door that aligns with you. The one that opens easily.